Way to go Duncan that was a swell swag bag from Ranger. Enjoy. Enjoy those treats, Duncan! And maybe save me a few! Great pressies! Ranger knows how to shop! Merry Christmas! Fantastic way to start Christmas! Who knew Ranger was such a great shopper! Wishing you and yours a very Merry Christmas! Hope the big guy leaves you some great stuff. Merry Christmas Duncan! 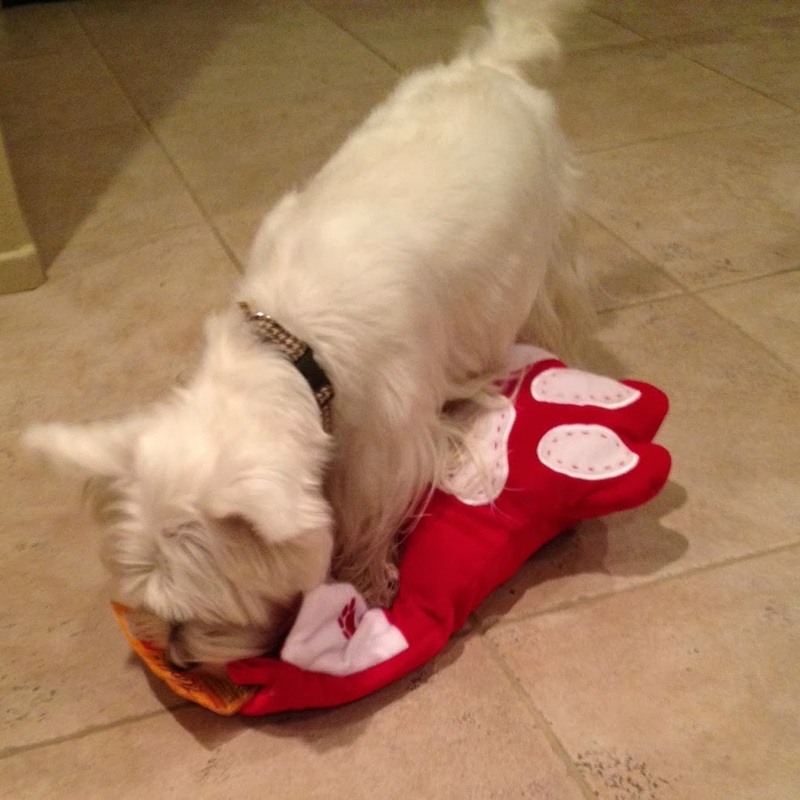 My westie buddies (Wally & Finn) just love to dig out the ball from inside the pouch of des toys. I hope you will enjoy it too. Wowee Duncan, enjoy all that, it looks amazing! Have a merry merry woofy Christmas! YEA!!! WooooHooooo! 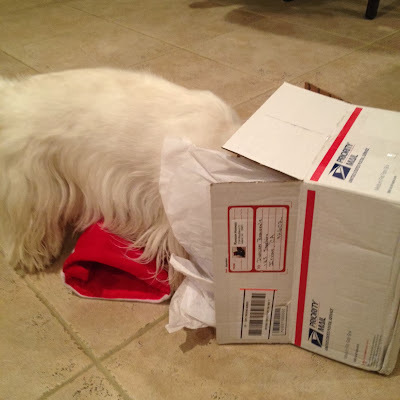 That looks like one PAWSOME pressie Duncan!! I hopes you and your peeps have the bestest Christmas evers! !